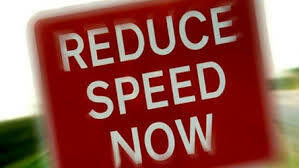 State troopers in Oklahoma are cracking down on speeding tractor trailer drivers. Starting at the end of August, state troopers in this state started looking for big rigs that were not following the law. It is part of a larger national effort to crack down on speeding truckers on interstates 35 and 80. According to one state trooper, one of the biggest problems with truckers in Oklahoma is driver fatigue. “I’m looking for fatigued drivers and making sure they’re in compliance with the federal regulations on hours of service, making sure they’re awake and able to drive their vehicle in a safe manner,” he said. The National Transportation Safety Board states that 40% of crashes involving big rigs are due to driver fatigue. This also can lead to truck drivers not monitoring their speed closely. The state troopers in Oklahoma also warned motorists that semi trucks weigh 80,000 pounds and need to be aware that they take much longer to stop than cars do. It is important to give them more room. Also, it is important to remember that if you cannot see the mirrors on a truck from behind, the driver cannot see you. Our Virginia trucking accident attorneys know how speeding truckers can be deadly to other drivers on our roads. There were 43,636 fatal car accidents in the US in 2005, and 5226 of them involved big rigs. However, of those fatalities, only 761 of the deaths were to the occupants of the truck. Obviously, the primary risk of a speeding trucker is to the occupants of vehicles around them. We have represented many family members whose loved ones have been lost to a dangerous, speeding truck driver. It doesn’t have to happen. One of the reasons these fatalities occur is tight deadlines for truck shipments. We think that truck drivers need to be given enough time to complete their shipments. The temptation to driver faster than they should will never disappear until delivery deadlines are more realistic. If you ever do see a truck driver speeding excessively, never be shy about contacting the state police to report the driver.